Having started out formulating neutral cleaners that were safer and more environmentally friendly in really tough industrial parts cleaning applications, ESS neutral cleaners washed a lot of flooring, cookware, faucets, fixtures, and other items (commonly found in the home) during the manufacturing process. It became apparent that if we knew how to clean these things during the manufacturing process, then we knew how to clean those same items once installed in the home. Thus, our consumer cleaning product line called NEU Homecare was born in 2003. NEU Homecare household cleaning products have evolved from factory proven products – so you know they work. No sticky residues. No toxic fumes. Powerful cleaning without the hazards! 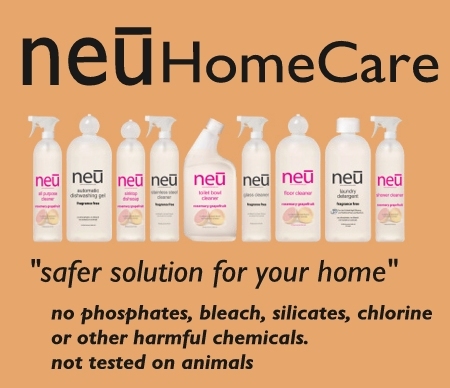 If you want proven safety and environmental benefits in the household cleaners you use everyday at home (that have a 17 year track record of cleaning and safety success), then click this link to the NEU Homecare website neuhomecare.com to find out more information!